Problem with your boiler or need a new boiler installed? Is your boiler playing up or do you need a completely new boiler? Chances are it’s not come at a good time but don’t worry – Heywood Heating can be with you in good time. The team at Heywood Heating cover all of Ealing so if you need to contact us just click the box below for any boiler query you need to resolve. The team at Heywood Heating cover all of Chiswick so if you need to contact us just click the box below for any boiler query you need to resolve. The team at Heywood Heating cover all of Acton so if you need to contact us just click the box below for any boiler query you need to resolve. The team at Heywood Heating cover all of Hanwell so if you need to contact us just click the box below for any boiler query you need to resolve. We value customer satisfaction and premium quality work above all else. Especially when we service, repair and install boilers and central heating systems. Heywood Heating have done so in and around the Borough of Ealing and have been doing so for 20 years. 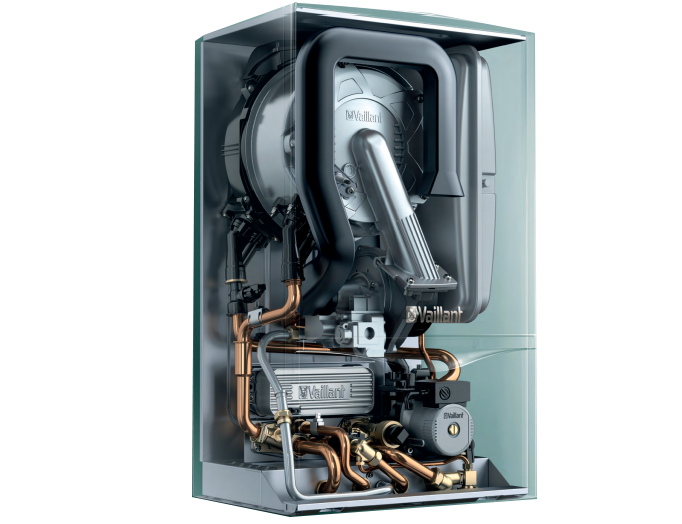 Installing a boiler is a very important decision and can be one of the most expensive home improvements you do. We understand that and so be rest assured we will not finish a job until the customer is 100% happy. Here at Heywood Heating we believe in providing an excellent standard of customer service. That’s why we are independently recommended, vetted, and monitored by Checkatrade, where our customers have rated our service at 9.9 out of 10. Our customers rate our plumbers work through an independent trusted ratings site. Checkatrade.com makes sure you can be assured of finding a professional and trusted engineer in your area. The same as a heat only boiler. However this operates as a mains fed sealed system with pressure sensors and relief valves instead of feed tanks and ‘open vent’ pipes. These boilers also have the circulating pump built in to them. 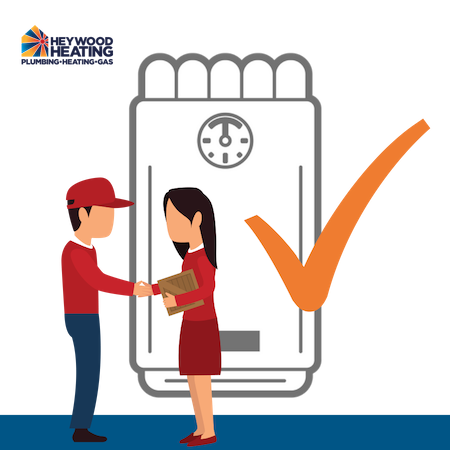 They are ideal for boiler replacements in lofts or where the original pipework configuration and wiring is so dated that a normal heat only boiler would not be possible without a lot of extra work and upheaval to the customer. These boilers require no tanks and no cylinders. They heat the mains water directly on its way to your tap. 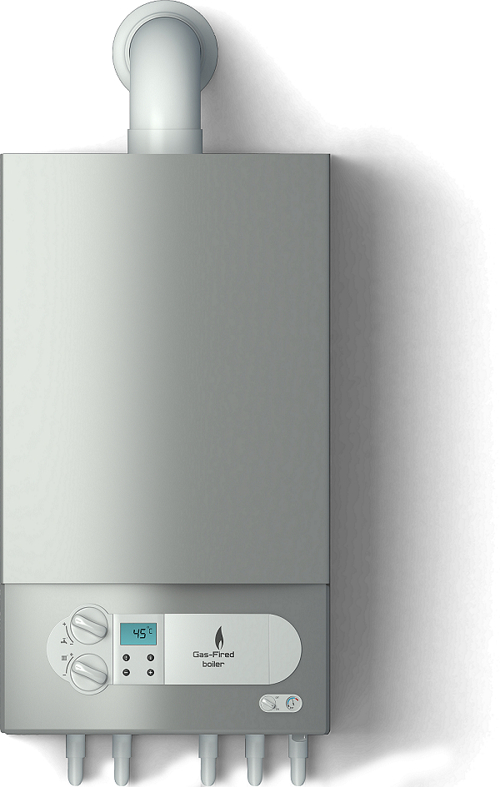 Combi boilers are big space savers and offer instant hot water. The mains flow rate to the property has to be over 20 litres a minute at peak times. If not the water supply cannot handle all the extra taps it has to feed and will, for example, struggle to supply a shower and a kitchen tap at the same time. Please call us if you would like advice and a quote on having a new boiler fitted.